Before I reveal what this film is, I want to explain what I mean I by important. If I ever post the list of my top 20 favorite movies, you’ll probably notice that they're all entertainment films, movies that you can watch on repeated viewings and there only purpose is to entertain. Now while they' re all B movies that I definitely enjoy more than others I can still admit that they're not that important. Now films like “Seabiscuit”, “Pay it Forward”, “Joan of Arc”, “Men of Honor” and “Iron Jawed Angels” aren’t all that fun to watch but they’re true masterpieces of film with great morals and very inspirational stories that are far greater than any of my favorite films. This is how you separate an important film from a favorite film. So while I say this film is very important and must be seen by all, it’s still not one of my favorite movies. So what is this film, well here it is, one of the most important movies ever made that not enough people acknowledge is “The Passion of the Christ”. This is one of the most tragic, emotional and powerful movies ever made. But unfortunately a lot of people want to avoid it. Both audiences and critics alike have complained that this film has no message and that it’s nothing but seeing Christ get cruelly tortured for no real reason. Well it’s not an easy film to watch and I do think some of the torture went on longer than it needed to. But the movie isn’t about the torture, it’s about the sacrifice. This isn’t like those stupid torture films like “Hostel” or “Captivity”, those are just sick films for sick people with sick interests. The primary purpose of this film is to reflect on Christ’s sacrifice and how he willingly put himself through all of this to save us from our sins. 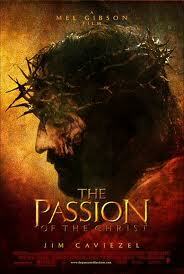 It’s all stated in the title “Passion of the Christ”, “through his sorrowful passion he gave his life for us”. It’s the perfect movie (actually the only movie) to watch on “Good Friday”, the time to reflect on this event. One of the biggest strengths of the Christian faith is to “honor thy sacrifice”, and it’s so much easier to respect it if we get a glimpse of what he went through. Director “Mel Gipson” dose an amazing job telling us the tragic story and combining it with the shear epic scope of its biblical size, there are a lot of massive elements in this film and the most powerful moment of all is when Gods tear drop falls from the sky, hits the ground and starts an earthquake. The cast is perfect, properly portraying Jesus is no simple task but “James Caviezel” dose an excellent job and “Maia Morgenstern” is outstanding as Marry, she represents her so well that you actually forget it’s an actress. I also liked “Hristo Shopov” as “Pontius Pilate”, a small part of you almost feels sorry for him because he’s really being forced to do something that’s against his better judgment and you can see how much it’s hurting him both mentally and physically to sentence Christ to death. As for this film not featuring a legitimate moral or message, the movie actually contains several. The film forces you to pay attention to each scene, because there are all kinds of powerful metaphors and morals given to you throughout the cores of the film. Here’s one example, when Christ is carrying the cross up the mountain he has a flash back to when he was teaching a group of people to pray for loved ones but to also pray for your enemies just as much and latter when he’s being crucified, he prays for God to forgive the people who are doing this to him, that’s the greatest act of kindness to come from a person. Like I said, this is a powerful film that dose a great job getting you to reflect on the event and is one that definitely deserves more attention then what it’s gotten. Now I’ve heard that people have actually died of heart attacks while watching this movie, and if you’re someone who can’t stomach what this film contains then you probably shouldn’t see it. However, if you think you can handle it, then absolutely try to watch this at least once on “Good Friday”. It’ll help you fully appreciate his sacrifice and to reflect on this time of the year and for that, I give “The Passion of the Christ” nothing less than 5 stars. So have a reflective “Good Friday” and a “Happy Easter” everyone!